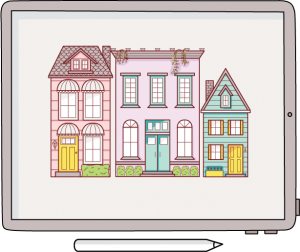 As we continue to build our digital planning products and resources for you, it was a given we would introduce bullet journaling to our digital products and tutorials. 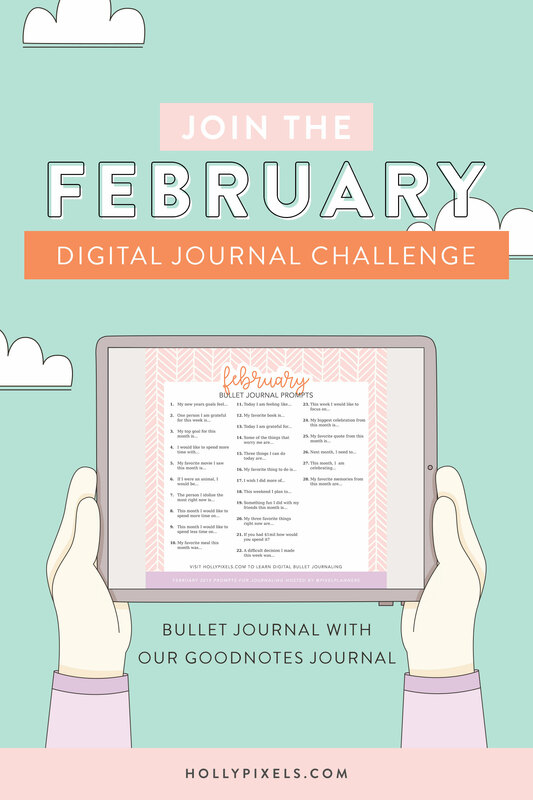 Last month we launched our digital bullet journal that you can upload to your GoodNotes app. So, to help you even further we have built a set of journaling prompts to make 2019 full of memories. 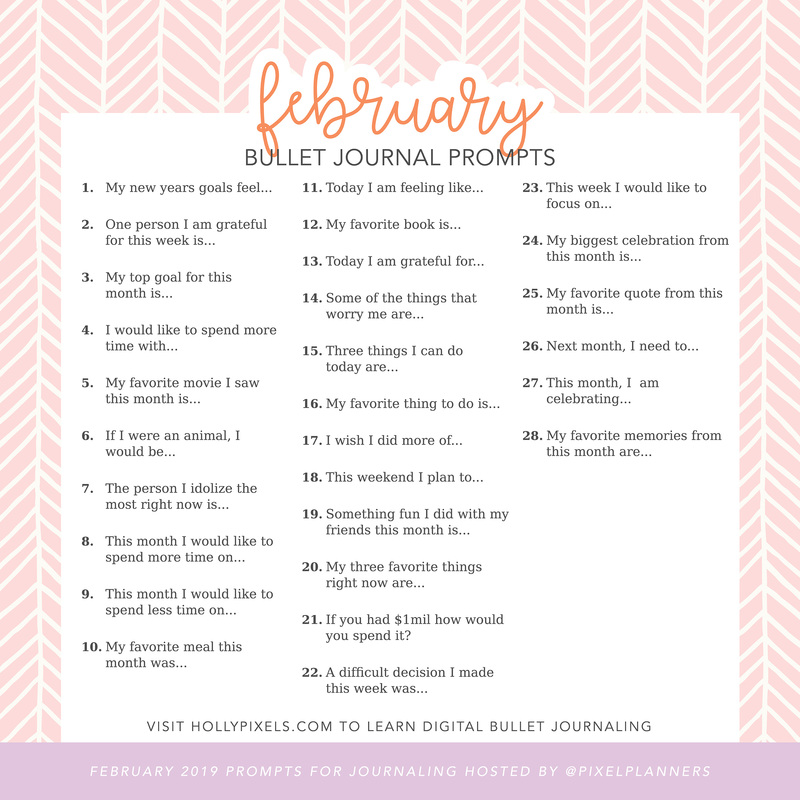 Every month we will release a new set of journaling prompts for you to use in your digital planner or digital bullet journal. You may see some repeated but that’s only because that prompt may provoke a different response from you at another time. If you have ever struggled with keeping a journal, these daily prompts will help you stay clear. 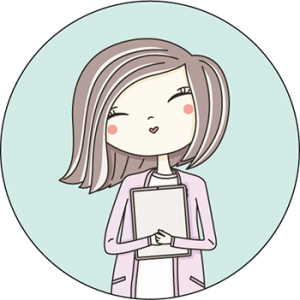 Yes, journaling helps you stay clear and focused on your goals. It helps with anxiety when it feels like nothing is going right. Think of it as a way to heal and throw away the old junk in your life. Our journaling prompts for February will help you get started writing a little bit each day. Write just a bullet list, a sentence, or a few paragraphs. The choice is yours. Be sure to check out our bullet journal in the shoppe to help you keep your bullet journaling digitally with an app like GoodNotes. Check out the inspiration from other users in our private Facebook group you can join by invitation only when you sign up for access to the free Vault. Get this graphic of the February journaling prompts as a sticker file for your digital bullet journal in the Vault. Scroll down to sign up for access today.